A group of Turkish underwater researchers has found a 3,600-year-old Bronze Age shipwreck, which could be the world's oldest shipwreck, off the shores of southern Turkey's Antalya province, the provincial governor's office said Monday. 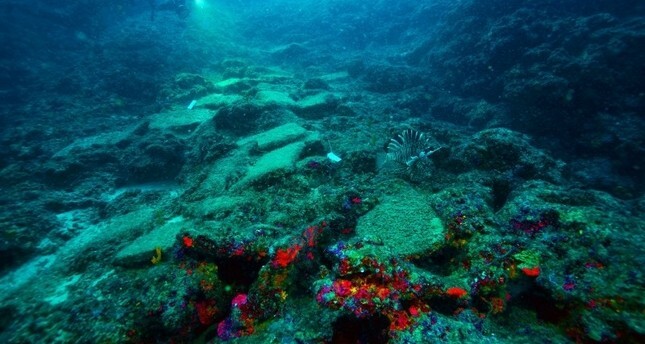 The shipwreck, estimated to date back to 1600 B.C., was discovered off the western shores of the city by Antalya University's Underwater Research Department. "It was probably caught in the middle of a storm while traveling to the Aegean [northwest of Antalya] region from Cyprus [island south of Antalya]. It was carrying a cargo of copper bullion and type of that bullion helped us date the ship. This may well be world's earliest vessel carrying industrial goods," Öniz said, adding that they would now form a team with local and international researchers for a five-year project to further investigate the wreck. If confirmed, the new shipwreck off Antalya's coast will also be older than a Greek merchant ship found off Bulgaria's Black Sea coast last year. That shipwreck dated back more than 2,400 years and was described as the world's oldest known intact shipwreck.